Yosemite, Death Valley, Zion, as an outdoor enthusiast I love them all. I spent the Easters of my childhood in the wonderful town of Mariposa just outside Yosemite National Park. Being next door to the park, visits were a frequent occurrence. We’d take the short drive in through the western entrance and drive the valley loop, taking in the towering splendor of El Capitan and Half Dome. That majestic valley inspired my adoration for the outdoors and led me to become the mountain loving backpacker I am today. 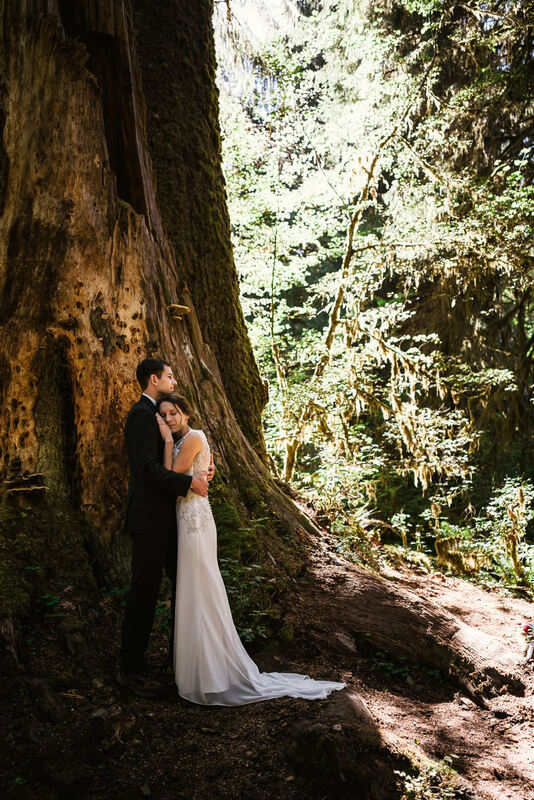 Than combining my love for wedding photography with my passion for the national parks? I certainly can't think of anything. National Park weddings are something truly special and I just can't get enough of them. To that end I've created this discount for weddings in the National Parks and Forests. There simply isn't a better wedding destination than the chapel of the great outdoors. So with that in mind I'm offering 10% off all my wedding packages. See the special pricing below. My base package includes up to six hours of wedding coverage. Perfect for intimate weddings. Short, but sweet is never a bad thing. Every wedding is a unique affair. Yours is no different. Let me spend the entire day with the two of you and your lovely friends and family. I'll capture everything from you getting ready beforehand to the last event at your reception. I'll even bring along a second shooter. We'll create beautiful images with you all the while. I'm Norm Roberts the Fifth, an artist who has spent his life perfecting the medium of light. Your wedding in the National Parks is the next big adventure in your love story, let me make it into a work of art. If you are romantic souls, with a touch of wanderlust looking for a photographer as adventurous as you are, let's chat. is someone who doesn't mind wind swept hair, getting caught in a downpour or a little dirt on their shoes. Fellow wanderers who desire going off the beaten path and blaze new trails with me to produce stunning photographs and memories we can all treasure for a lifetime. You'll find me happily traveling twisting mountain roads, fording across freezing creeks, hiking down steep canyons, or climbing sprawling oak trees to find the perfect shot. Whatever it takes to bring your beautiful relationship to life, creating images that showcase your romantic thirst for adventure with touching emotion, I'll do it. To find what I am willing to do as their wedding photographer. This is my passion so there really is no limit. Drive out to Joshua Tree National Park to spend the day hiking the desert looking for the perfect backdrop? Get the rings, I'm already on my way. Wading through lakes for a romantic swim shot? Roughing it up in the mountains? Let's go! All I require is that wherever we are, and whatever we are doing, let's have a great time and create something special. Fun is the secret ingredient to amazing photography. Go down the path less traveled and savor the insane wonderfulness of vowing your life to your lover and best friend out in the national parks. Let's have an a grand adventure! This majestic valley inspired my great love for the outdoors. Explore special deals on wedding packages in Yosemite National Park. As wild as it is beautiful. Discover my wedding package options for the crown of the continent in Glacier National Park Montana.